In 2012 the Journal of Orthopaedic & Sports Physical Therapy published a research study showing “Rate of Force Development” (RFD) is more accurate than traditional strength metrics in determining recovery and readiness for return to sport after ACL injuries. In a world where all athletes and trainers have the benefit of RFD measurements people get healthy faster and stay healthy longer. Careers are extended. Teams win more. Lives are improved. But advanced fitness metrics like RFD have traditionally been available only in hospitals, research labs or human performance centers. Trainers and physical therapists haven’t had access to the right tools, so they’ve been forced to use inferior metrics to advise their clients. 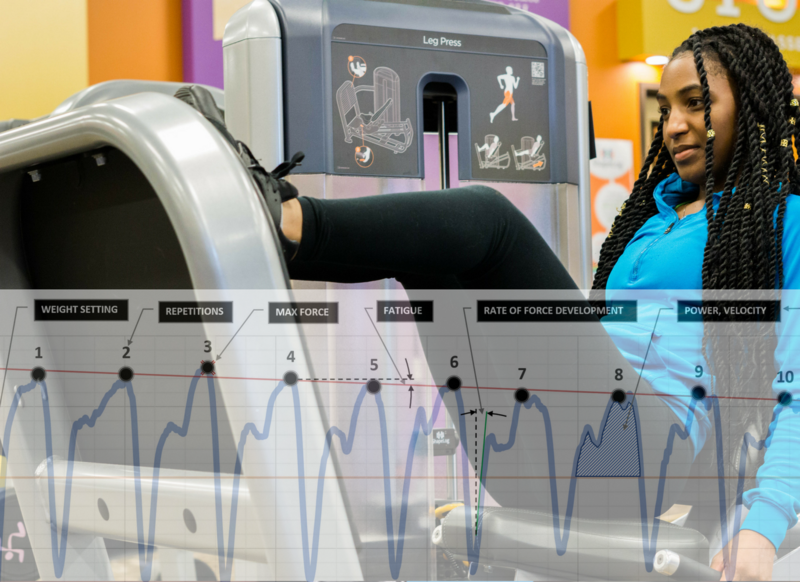 As fitness technology hardware and software becomes more powerful and less expensive, fitness professionals have an opportunity to work more like medical professionals. The data creates a bridge that lets fitness clubs become an extension of the performance centers found within hospital systems. And that’s a huge potential source of revenue for fitness clubs. Doctors, therapists and hospital systems that we’ve spoken to would like their patients to capture meaningful, advanced metrics in the field. It’s too expensive to bring every ACL patient into the human performance lab regularly during the recovery process. They would much rather make a referral to a local gym or trainer where these metrics are gathered more frequently and inexpensively. Measuring only basic things – like weight and reps – keeps the fitness industry locked out of healthcare markets. When you can see advanced metrics you can begin to offer more advanced, and lucrative, services.